We are trusted as one of the leading Manufacturers and Exporters of Carbon Steel Round Bars. 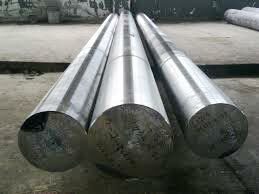 We make use of high quality Carbon Steel to make Carbon Steel Round Bars. These Carbon Steel Round Bars are fabricated as per the industrial standards by the experts. Stringent quality-tests ensure that only defect-free Carbon Steel Round Bars reach the buyers. To meet the varied requirements of the buyers, we offer the Steel Round Bars in different specifications. Owing to our excellent logistics network, we are capable of delivering bulk orders of the Steel Round Bars within the allocated time.